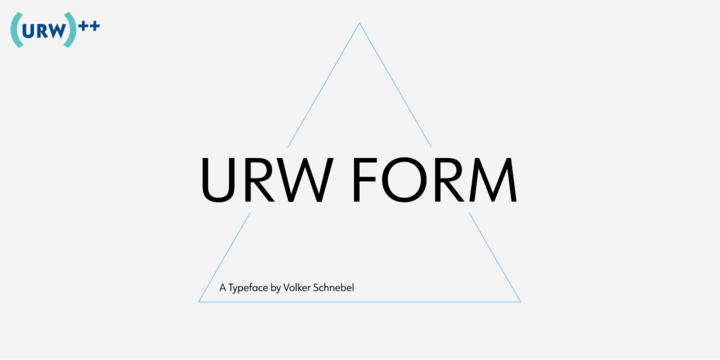 URW Form a contemporary typeface created by Volker Schnebel and published by URW++ which is a mix between classic and modern geometric typefaces. Available in 4 widths each 10 weight (from Thin to Poster) and italics, 540 characters in each of the 80 styles. This versatile sans serif typeface it can be use for any kind of project. Cannot miss it! Trademark: “URW Form” is a trademark of URW++. Price: starting from $19,95 for one font to $299,00 for all 80 fonts. A font description published on Friday, July 14th, 2017 in Fonts, URW++, Volker Schnebel by Alexandra that has 2,911 views.